While out on the road for work a few weeks ago I ran into beautiful Hiawatha, Kan., to grab a bite for lunch. I decided to go to a place I’d been to before and liked, a place called Gus’ in downtown Hiawatha. I walked up to the door and saw that pulled pork was the special that day, and became immediately intrigued. I asked the waitress about the pulled pork, and it turns out it’s something the owner has recently gotten into doing. While it was the “special” that day, it is available most other days, but there are no guarantees, due to possible supply shortages. I decided to take the bait and try the pulled pork. 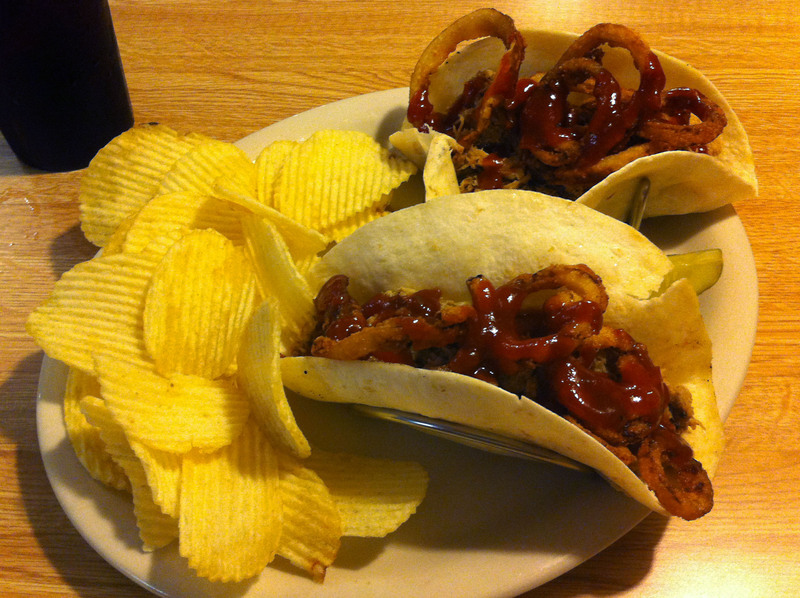 I chose the pulled pork tacos with chips as my meal. I figured I might as well step outside the box and try something besides the usual white bread bun with my pulled pork. The tacos were very good it turns out. 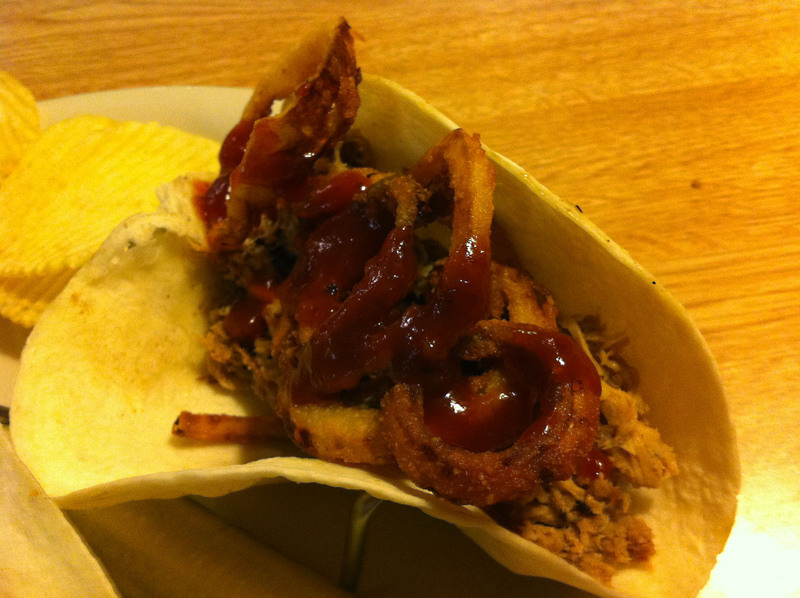 They were nothing but pulled pork, BBQ sauce and freshly cooked onion straws in a soft taco. While some people might prefer other additions to the taco, I found it to be fine the way it was. The meat was very good, as it was not just some overcooked gruel spooned from a crockpot, but rather real, smoked pork shoulder that had been separated by the use of human hands using metal utensils! Walking away that day, I felt like I would gladly come back to Gus’ and eat the pulled pork again, which usually means they’re doing something right. Feel free to give it a try if you’re up that way sometime!